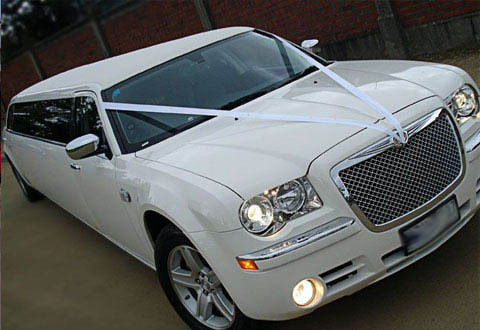 The Baby Bentley limousine is also known as the Chrysler limousine. This vehicle holds up to 8 people in pure style and comfort and relaxation. The areas we cover in the Derby are Alfreton, Ashbourne, Bakewell, Belper, Burton upon Trent, Heanor, Ilkeston, Matlock and Ripley. The Baby Bentley limousine is nice way to travel for your wedding for you and your guests in the Derby area. Any wedding booking in the Derby area , we will provide you with free ribbons and bubbly, book quickly as our prices are very cheap in the Derby area.